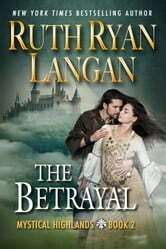 Book 2 in The Mystical Highlands Series. Grant MacCallum, a powerful laird, journeys to the Mystical Kingdom seeking a woman with the gift of Sight who will help him uncover a traitor in his clan. Kylia Drummond has always known he would come, since she has seen him in dreams from childhood. She eagerly accompanies him on this dangerous quest. But there are those who will do all in their power to destroy both Grant and Kylia, and end forever their blossoming love.